Introducing these recordings on their first appearance in the mid-’60s A.L. 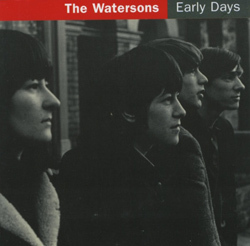 Lloyd wrote of this new singing group’s ‘hand-crafted harmonies, an immediately recognisable and uniquely distinctive group sound which is uninhibited, spontaneous seeming and rich in texture.’ What became of The Watersons after that is history, and can be followed step by step in Topic’s other Watersons CDs. Early Days recaptures the youthful sound of the original quartet in 27 performances from long-deleted albums.